Team Sonic Racing is a game under development by Sega and the Sonic Team. As its name suggests, this is a racing game in which you will control Sonic and his friends. Driving cars that can be customized, you will follow different circuits that will allow you to discover or rediscover the world of the blue hedgehog. Each player will also be able to collect Wisps, small coloured creatures that will offer powerful powers to attack other players or defend you. More character categories are available: speed, tactics and power. They will be able to offer themselves improvements between characters in the same group in order to reach the top as a group. 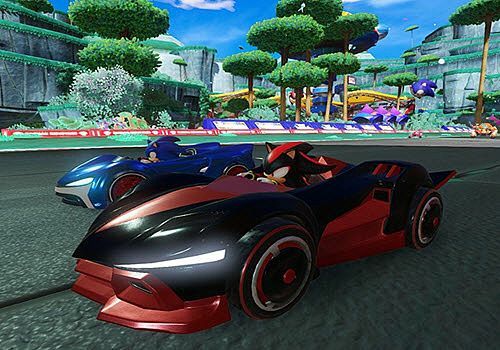 Team Sonic Racing will offer several game modes such as career mode. No official date has been announced for the release of the game but it should arrive on our screens before the end of the year. Everyone would like to take a step back into childhood, forget about everyday problems and have fun with madness. Racing games to play for free with the family. All the games that are available here are full versions - no trial or demo versions here!